Adolphe Valette - Manchester's first impressionist painter. I’ve been working in the Old Trafford area of Manchester for the last 16 years in an office that’s just a few minutes walk from Manchester's famous Ship Canal. The first time that I walked into the city’s Art Gallery I came across a room filled with wonderful impressionist paintings by an artist called Adolphe Valette. It’s my favourite room in the art gallery. Valette was born in France in 1876 and trained as an artist at the Ecole Municipale de Beaux-Arts et des Arts Decoratifs in Bordeaux . He arrived in Manchester in 1905 and within two years was working as a tutor at the Municipal School of Art where his impressionist style and methods of teaching by demonstration were both new to the city. He taught in the School of Art until 1920 and influenced a whole generation of artists. It’s ironic that today Valette is probably best known not for his own paintings but for being the tutor of Manchester’s most celebrated artist, a local man called L S Lowry, who Valette taught for over 10 years and who went on to a have a £100 million gallery devoted to his paintings and became much more famous than his tutor. 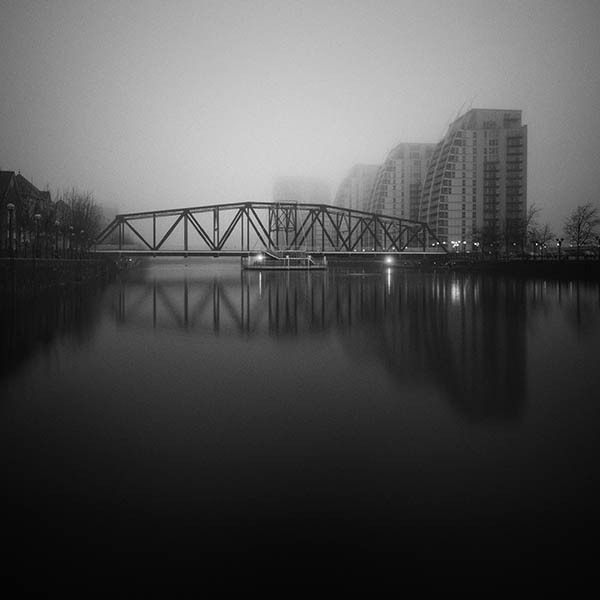 Manchester is an industrial city in the North of England that is well known for its fog and rain. Back in the period when Valette was living here the fog and rain would have been accentuated by the smog from all the coal fires that were used back then for heating homes. 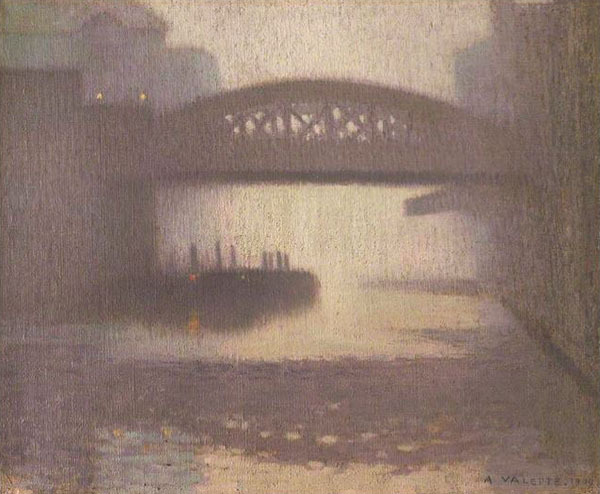 I really love Valette’s hauntingly mysterious views of a Manchester shrouded in fog, especially the paintings that he did along the city’s waterways – the ship canal and the river and canals that run through the city centre. Whenever I’m out with my camera taking photos along these same waterways in wet and foggy conditions similar to the ones in Valette’s paintings I can’t help but feel a vivid connection with both Vallete and the Manchester of a hundred years ago.